Having a new pup in the house is an exciting experience but it can also be tiring as these little beings are always bubbling up with energy. To keep them energetic, it’s important to feed them properly after understanding the needs of their rapidly growing bodies. While looking out for the right puppy food, pet stores can seem to be brimming with options. They have endless shelves of dog toys, dog treats and dog foods to choose from. To begin with, discuss the diet you wish to give with your vet to make sure it is balanced and specially formulated for your developing puppy. Selecting the right puppy food and knowing about feeding a puppy can be a bit baffling. With numerous commercial puppy foods, home cooked puppy foods and raw diets, it’s even harder to make the right choice. On top of it, knowing when to feed adds another hurdle to your puppy’s growth. When selecting a commercial puppy food, it’s important to have an understanding of the ingredients mentioned on the pet food labels. 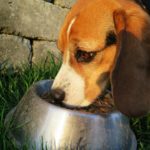 If you decide to stick with cooked or raw home-prepared food for your puppy, it’s essential to understand the basic nutritional requirements of a puppy. Here are some guidelines to help you choose the right food for your puppy and get him started on the right paw. Make the Choice – Dry or Wet? There are many benefits to either type. 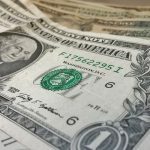 Your choice should depend on your budget and lifestyle. Also, your puppy’s tastes and nutritional needs should be kept in mind. Dry is the commonly preferred type of food. It’s convenient to store, contains more nutritional value than wet food and can improve dental health. Consider your puppy’s size when you choose dry food. Remember, a smaller breed of puppy needs smaller bites as compared to a large pup. Puppies love canned or wet food and it would probably be their choice if asked. Despite being more edible, it actually has less nutrition than dry food. Also, be prepared for dental issues, as wet food doesn’t scrape against the teeth. Unlike adult dogs, puppies have very high nutritional needs. Make sure that the label specifies it’s for puppies. You want a puppy food from a company that makes sure that the specific formulation of diet has been created to feed dogs and that there are no deficiencies. Good pet food companies invest resources and time in scientific research and check with veterinary nutritionists to prepare a food that is completely balanced without any deficiency in nutritional values. Many pet food companies prepare their food following a particular recipe and never actually feed it to dogs. Such food may be harmful for your puppy’s development so it’s important to make this decision wisely. Puppy food should be higher in calories than adult food as they are proactive beings. To compensate for the energy that puppies use while growing, it is important to feed them with adequate amount of calories. Not to mention, all that playing and hopping requires a whole lot of energy. More than half of the calories they take in are spent on tissue growth and other bodily developments. It is essential that the amount of food they eat provides a required amount of nutrients to help them mature properly. Pick a food that is carefully prepared for the size of your puppy. The bone growth of a Chihuahua puppy is very different than that of a Great Dane puppy. They should not be fed the similar kind of food. Large breed puppy food has a higher proportion of calcium and phosphorus to make sure that the bones grow properly and the pup doesn’t suffer with joint disorders. A diet planned for the size of your puppy is also vital when we consider the actual kibble size. Some foods insist that they’re typically for smaller breeds or vice versa, they label ‘toy breeds’ for example. 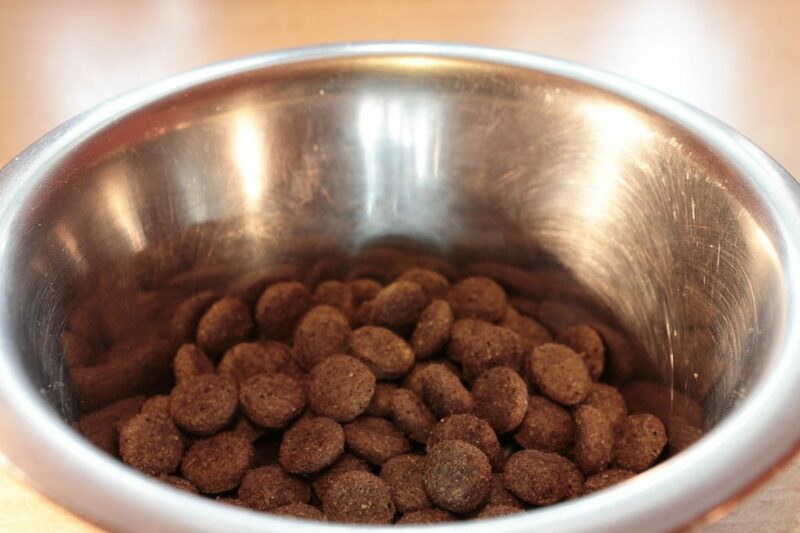 The little mouths of some small breed dogs may need smaller kibble to be chewed with ease. A tiny Yorkie puppy may find it difficult to consume larger size pieces of food, so select a toy or small breed puppy formula to make it easier for them. Proper chewing will result in proper digestion and less poop on the carpet. If you plan to go with a wet food, be careful of the size of the food chunk. The components in your puppy’s food (and their balance) are important for the growth of your puppy. For example, a puppy’s nervous system is reliant on the vital fatty acid DHA. Puppy foods should have a greater amount of this than other foods designed for adult dogs to help in the eye, ear and brain growth of a developing puppy. Reports have revealed that puppies fed diets greater in DHA have improved memory and trainability. This kind of food should end in a smarter and more trainable puppy. Keeping your puppy fit and at a healthy weight is important for lifelong health. Underweight puppies may not grow properly while obese ones are at a higher risk of being bulky adult dogs. This can lead to disorders and diseases such as arthritis, heart disease, higher blood pressure, diabetes and heat exhaustion. Your vet should measure your puppy’s body situation at each visit to make sure your puppy is on the right track of nutrition. Often we see our pups eyeing us with innocence while we eat our food, we tend to give them a bite or two of what we eat. This should be avoided as much possible. Given below is a list of human food that you can give and cannot give to your pups. Eggs: Fully cooked eggs are safe and healthy for the dogs. They can help cure an upset stomach and are an excellent source of proteins. Cheese: Choose to feed your pup with low-fat cheese like mozzarella or cottage cheese in small and moderate quantities. Peanut Butter: Raw, unsalted peanut butter is loaded with nutrients. Hence, it is a great option for dogs. Bread: Small amounts of whole wheat bread can be a treat for your puppy. Yogurt: Plain yogurt is a perfect snack for dogs. It comes loaded with protein and calcium. Also, it strengthens the digestive health. Onions & Garlic: Onion and garlic are a big no for the puppies. They can have side-effect like pale gums, weakness, and elevated heart rate. These are considered to be toxic for puppies. Chocolate: Chocolate contains a toxic substance called methylxanthines. A small piece of this sweet treat can cause diarrhea and vomiting in dogs. Grapes and Raisins: Grapes can cause kidney failure in dogs. Hence, they should be avoided. 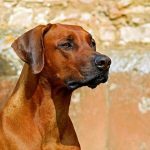 Raw Meat and Fish: Raw meat and fish can be harmful of the dogs. They can have bacteria, which may cause food poisoning. As there are hundreds of human foods that are not suitable for puppies, we believe it’s a safer choice to pick commercial foods. Puppies require more protein, fat, calcium and phosphorus as compared to an adult dog. These nutrients must be present in a proper balance because abundance or deficiency can cause health issues. Commercial foods make it easier for owners by preparing specific formulations as required by a growing puppy.